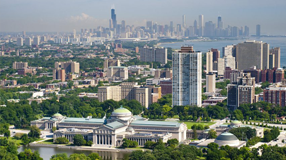 Seven Hyde Park-area institutions create a formal affiliation to strengthen cultural participation in Chicago. Protein simulations on home computers help researchers hunt for better cancer drugs. Dorothee E. Kocks, AB'78, found dignity in humility after her career dropped out from under her. Bob Mariano, MBA'87, sheds light on what it's like to be CEO of a supermarket chain. Chicago Booth's Amir Sufi argues that lagging spending by overextended consumers continues to have a corrosive effect on growth. "The more informed you are, the more likely you are to choose store brands." Research from political scientist Robert Pape's Chicago Project on Security and Terrorism disputes claims of unprecedented global danger. Sleep researchers Eve Van Cauter and Matthew Brady, AB'87, PhD'94, explain how fatigue affects appetite regulation and other factors that contribute to extra pounds. Crime and health-care scholar Harold Pollack discusses the concept of "motivational interviewing" as a means of altering behavior. 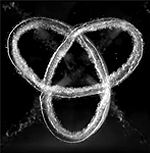 UChicago physicists solve the puzzle of how to tie knots in fluids. 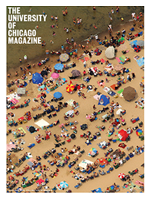 The July-Aug issue of the Magazine is in the mail and available online.